Bedworth United are delighted to announce progress within the building of next seasons playing staff squad. Manager Mark Hallam has completed the signings of five players, and has stated he now only needs a forward to complete his jigsaw. Shaun Hayes, Matty Ford, Shaun Williams, Jo Hanney and Junior Hewitt have all signed on the dotted line for the club. Hallam has bolstered his Goalkeeping options by bringing in 20 year old Shaun Hayes from Worcester City, and Matty Ford from Oldbury United. Hayes, who played number 2 to England National XI goalkeeper Danny McDonnell, was offered a new deal by the Conference North Outfit, but chose to leave St Georges Lane to fight for the Number 1 Jersey at The Oval. Ford, a keeper previously with Tamworth and signing to us from Oldbury, is an experienced shot stopper and Ford, Hayes and Hateley will be aiming to prove their status during pre-season. In Midfield, Hallam has signed Shaun Williams who was previously with Bilston during the Joe Jackson reign, and has clinched the signing of 21 year old Jo Hanney. Williams, who was part of the Bilston side who finished 3rd under Joe Jackson, has been out of Southern League Football, but has impressed in Sunday League and Hallam was keen to restart his Southern League career. 21 year old Jo Hanney is a player Mark Hallam is delighted to capture. Playing for Tamworth last season he made numerous Conference appearances including the Televised game against Shrewsbury. However, the youngster parted company with the club after a disagreement with then manager Darren Gee and joined Rothwell Town. Hanney has been placed on a contract for this forthcoming season and Hallam believes both midfielders will be important players in this forthcoming season. Upfront Mark Hallam has brought in firey striker Junior Hewitt from Solihull Borough. The 21 year old progressed through the ranks at Damson Park, and will be looking to continue his development at Bedworth. 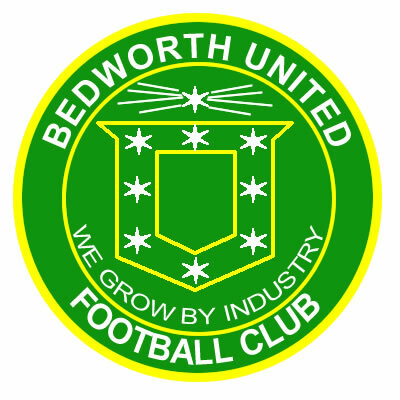 However, the Bedworth manager is still on the lookout for another striker to "complete the Jigsaw"
"All our efforts are now focused to bringing in an experienced front runner. I can assure everyone that I will not rush into a signing and I know the type of player I want"
"We were very close to getting Mark to the club, I am disappointed that he decided not to join us - but that is the calibre of player I am looking at, and I will move on to other targets I have in mind"